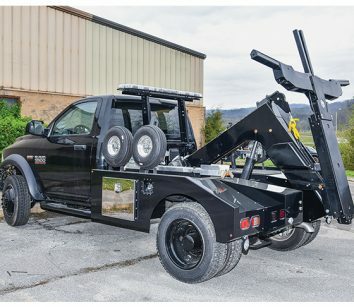 The Century® 3212 and Vulcan® V-30 are 16-ton integrated medium-duty towing and recovery units designed to handle a wide range of vehicles from autos to straight trucks and city tractors. They are available in both spacious aluminum high side or low-profile VX body styles. 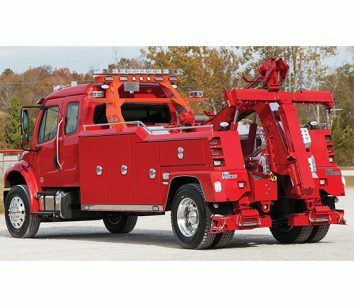 Features include multi-position hydraulic rear jacks, a fabricated recovery boom, and dual 15,000-lb. planetary winches. Call 800-292-0330 or visit MillerInd.com. Dual-Tech proudly presents the newest edition to the wrecker line-up – the SL4A. This unit is designed with a 3/16 aluminum body accommodating two 24” toolboxes. Standard units are equipped with Dual-Tech’s self-loading wheel-lift and a wired remote. Options include a drag winch and a back-up camera. Visit www.dual-techinc.com or call 800-852-0345 for more details. With the look of class, this durable unit is sure to be the talk of your town.